Optimize your message with this Auto Traveler Gift Set. 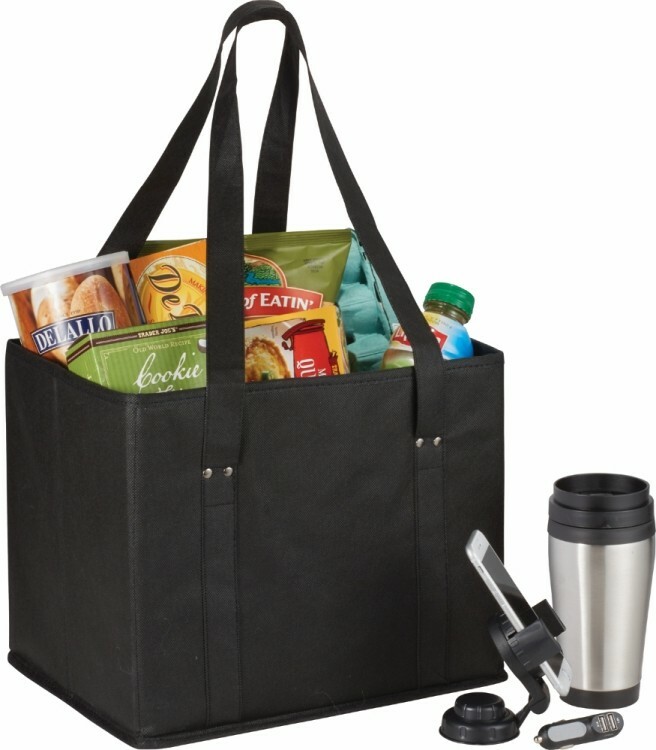 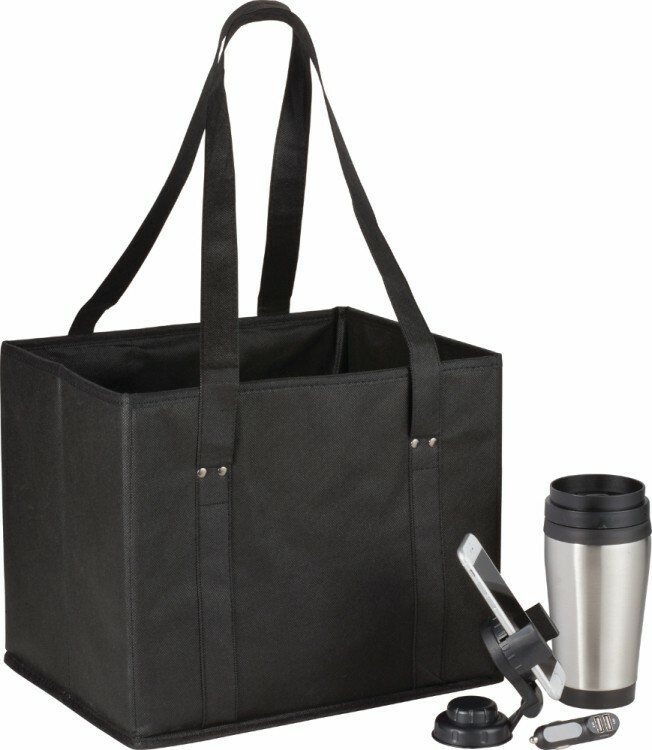 Set includes (1501-18) Stainless Steel Tumbler 14oz, (7140-48) Hurricane Dual USB Car Charger, (3350-61) Deluxe Swivel Dashboard Phone Holder, and(2150-65) 100g Non-Woven Collapsible Tote. 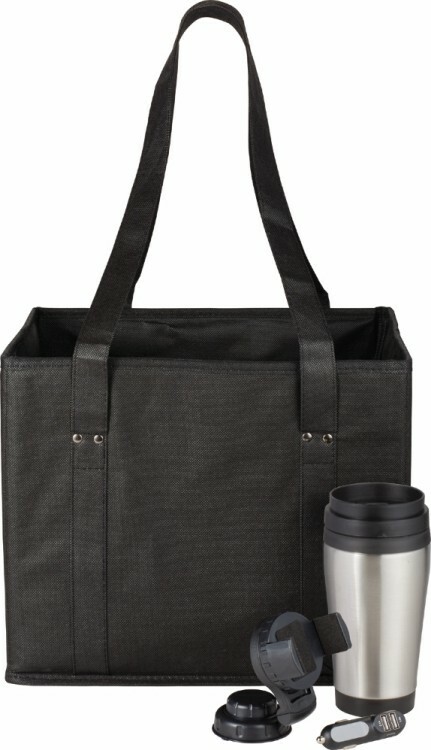 Pricing includes a one color / one location imprint on each item. Available on SureShip!